I wish I had a Polish recipe to share today, but this Strawberry Rhubarb Cake will have to do. It’s adapted from an Anna Olson recipe that’s one of my go to’s. The cake is moist and the tart strawberry rhubarb topping balances out the sweetness. 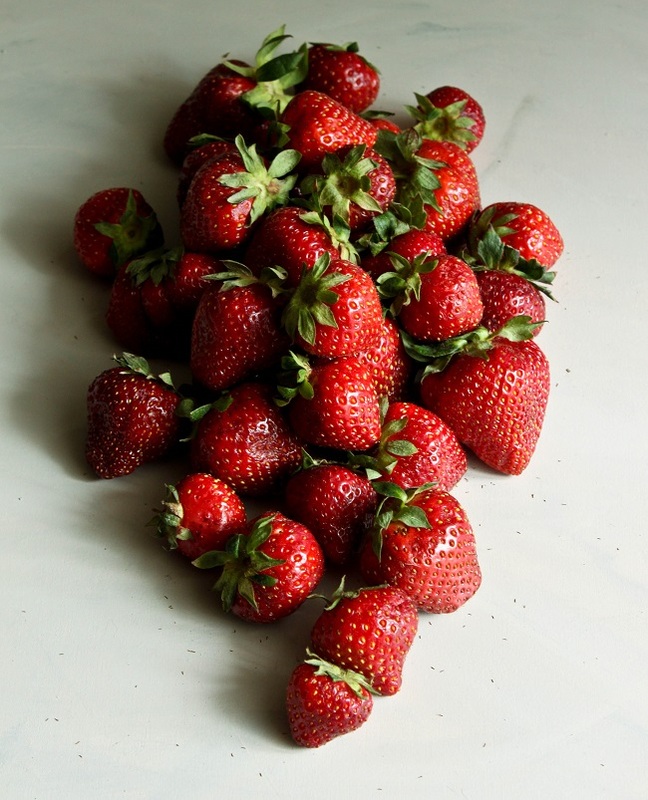 Prepare the fruit: In a small bowl, stir the strawberries, rhubarb, sugar and bitters together. Let the fruit macerate for 20 minutes. Pour the released juices into a small saucepan and cook over low-medium heat until reduced by half. Return the juices to the fruit. Grease a 9 inch springform pan. Preheat the oven to 350. Make the cake batter: In the bowl of an electric mixer on medium speed, cream the butter and sugar together until light and fluffy (about 3 minutes). Beat in the egg and vanilla until well combined. Sift the flour, baking powder and salt together. Add the flour to the butter mixture in three additions, alternating with the milk. Make the streusel topping: Combine all the ingredients in a small bowl. Using your fingertips, rub the flour and sugar into the butter until crumbly. Spread the batter in the prepared springform pan. 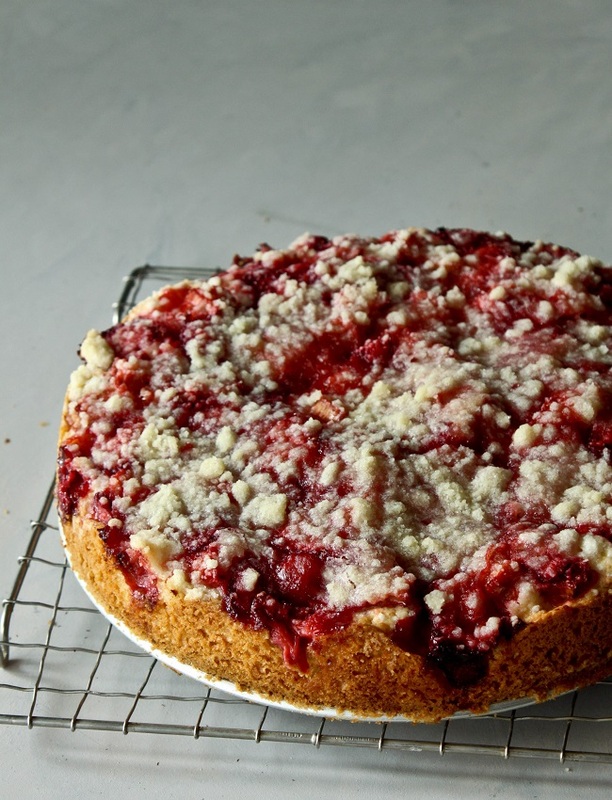 Top with strawberry and rhubarb then streusel topping. Bake for 45 to 55 minutes until a tester comes out clean. was trying to find my recipe for the Kahlua cinnamon rolls but couldn’t so started searching online. I found your recipe but then later found my book. I would be glad to send it your way if you would like it? It is a bit different from yours though your addition of the cream cheese sounds good.